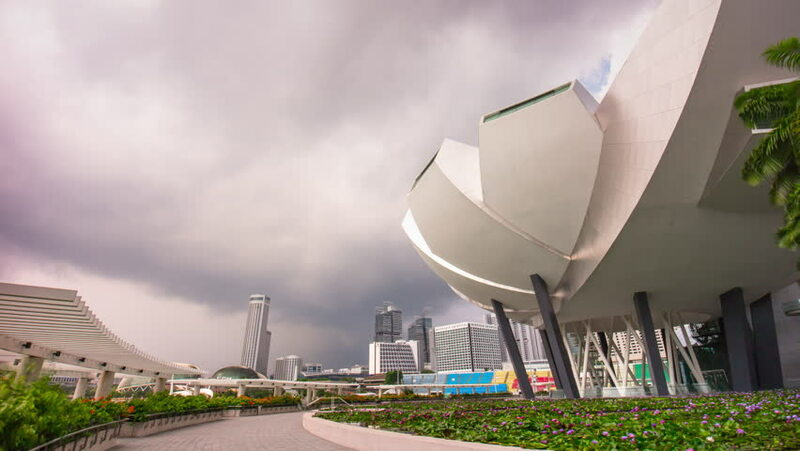 SINGAPORE, SINGAPORE - JANUARY 2016: storm sky marina bay sands mall art science museum panorama 4k time lapse circa january 2016 singapore, singapore. 4k00:12SINGAPORE CITY/SINGAPORE - JANUARY 12, 2015: Singapore Art Science Museum at Marina Bay with skyline behind. The museum was opened on 17 February 2011 by Singapore's Prime Minister Lee Hsien Loong. 4k00:15SINGAPORE - CIRCA MAY 2016: Urban landscape of Singapore. Skyline and modern skyscrapers of business district Marina Bay Sands at most financial developing Asian city state. hd00:36BUENOS AIRES, ARGENTINA - CIRCA 2009: Flower Buenos Aires, circa 2009 in Buenos Aires, Argentina. hd00:08Singapore. Circa February 2017. Man taking pictures of Marina Bay and Singapore skyline.